We even had them on our fabric! 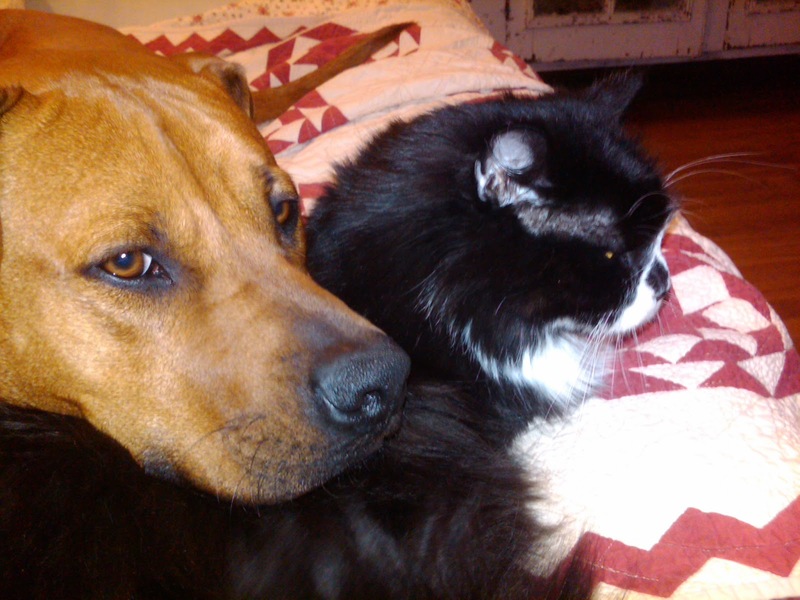 This was Roscoe who shared his life with us. And Lizzie who did also. I wish I had a good picture of Sarah, who was also a black cat who brightened our lives. Halloween was my favorite holiday as a kid, and now I love it for different reasons. Here's hoping that you have have had a spirited black cat in your life. Happy Halloween! The suitcases are unpacked and the bundles are unwrapped. It was a great quilt market. 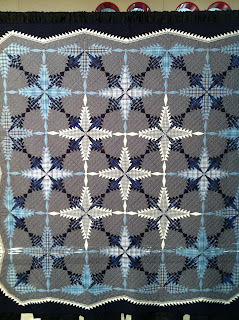 Make sure to follow Barbara Brackman's blog for pictures of a wonderful quilt collection from France. They are spectacular. The show will be there for Festival too of course. If the travel gods will let you..... make sure to visit Houston. I'll be posting again tomorrow on some of the treasures brought back from International Quilt Market! 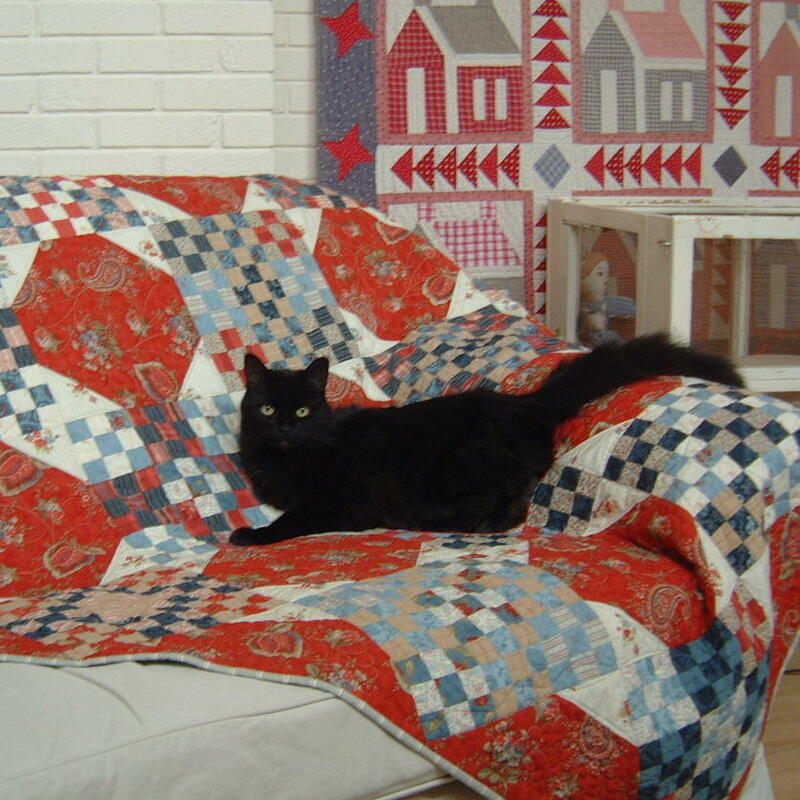 The majority of my quilts have cats on them, some came that way and some I just had to add a kitty, lol. I look forward to seeing what you got from market and what is new. I've had two black cats, Spike and Weazel, who have passed on to kitty heaven. I miss them both every day. I collect black cats (not real ones) in their honor. Halloween was cancelled all over NJ here ..
Gabrielle Paquin's quilt is very spectacular, I love it! 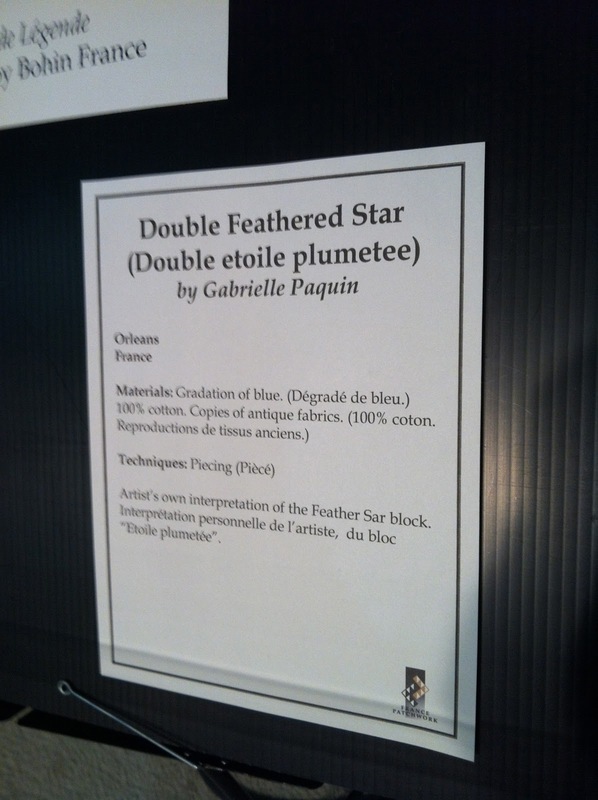 Thanks for your kind words about theses "Quilts de Légende" made in France. My thoughts to all victims of Superstorm Sandy. i! 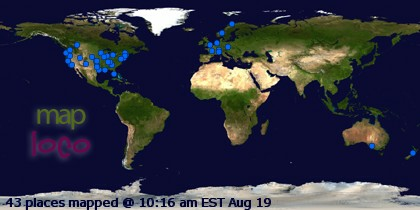 I am reading back thru your blog (actually looking for info on the Xmas Flag quilt..pattern? fabric, book?) and this post caught my eye because I believe the applique kitties quilt is my quilt! 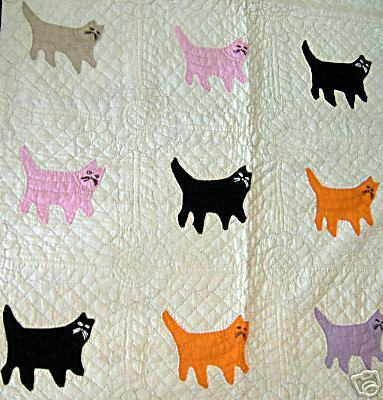 Unless there is another, but it seems to be my photo, perhaps was found on eBay [it was not sold, tho] or my blog or Pinterest....The quilt, c.1920-30's was never used or washed; it has a hand stenciled signature of the maker on it. It is possibly from KY or S.OH. 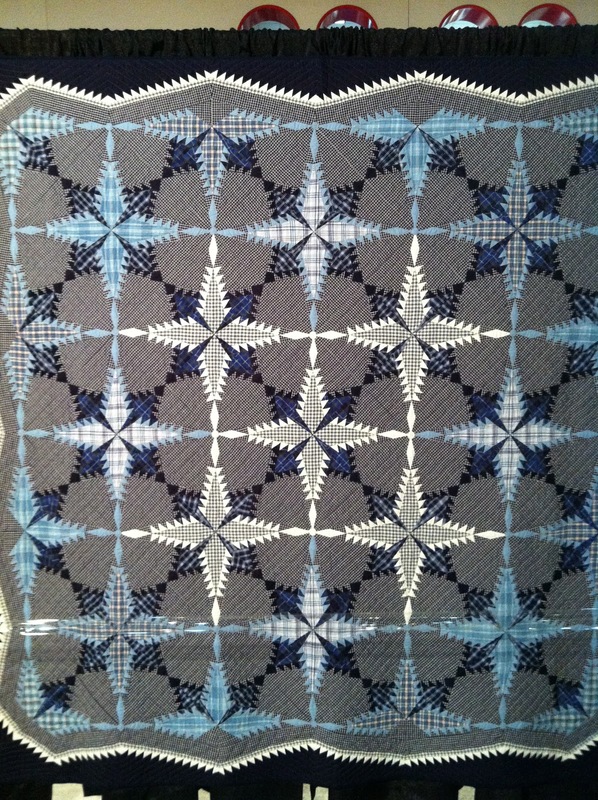 I bought the quilt years ago in NYC from I believe quilt dealer Shelley Zegart. and thank you for any info about the Chrsitmas flag quilt.